Item # 316447 Stash Points: 3,395 (?) This is the number of points you get in The Zumiez Stash for purchasing this item. Stash points are redeemable for exclusive rewards only available to Zumiez Stash members. To redeem your points check out the rewards catalog on thestash.zumiez.com. 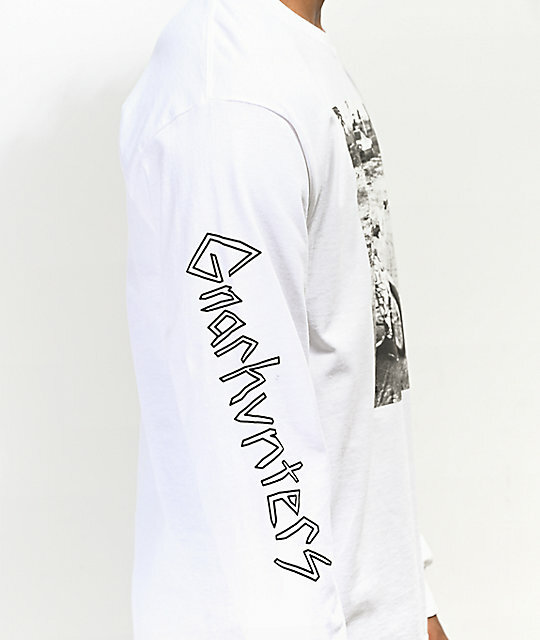 Composed with a vintage-like aesthetic, Gnarhunters presents their Begging To Be Rad White Long Sleeve T-Shirt. 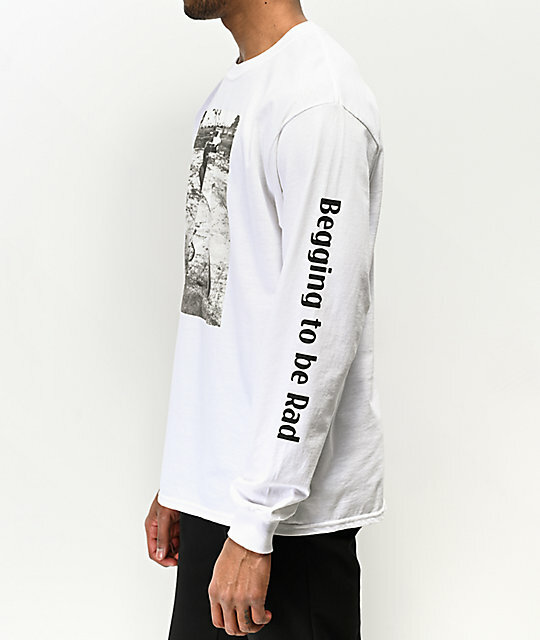 This garment features a large black and white photo across the front, logo script on the right sleeve and text along the left sleeve. 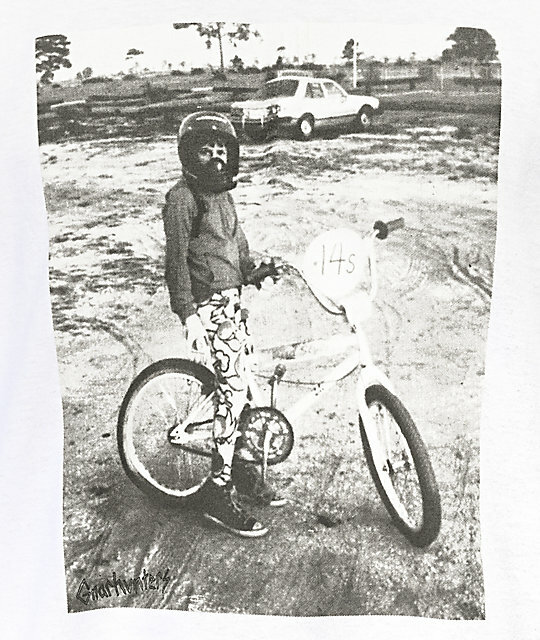 A graphic heavy t-shirt that offers your look a nostalgic aesthetic in an all-around comfortable soft cotton fit and feel. 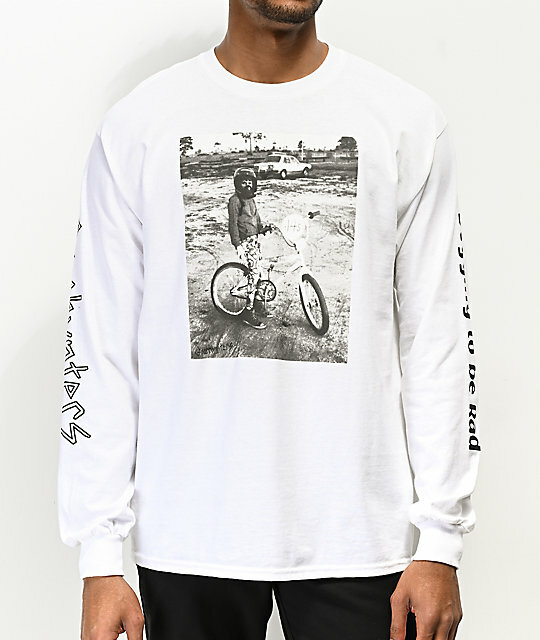 Begging To Be Rad White Long Sleeve T-Shirt from Gnarhunters. Screen-printed graphic on front, logo script on right sleeve, text on left sleeve.